Yes, this is a thing. It all started on the TV show Parks and Recreation. It’s a season within the season where gals appreciate their gal friends. Not overly commercial. More about fun and being social. newsXpress released to its members a pack of collateral and product opportunities. Here is one of the posters from the series. 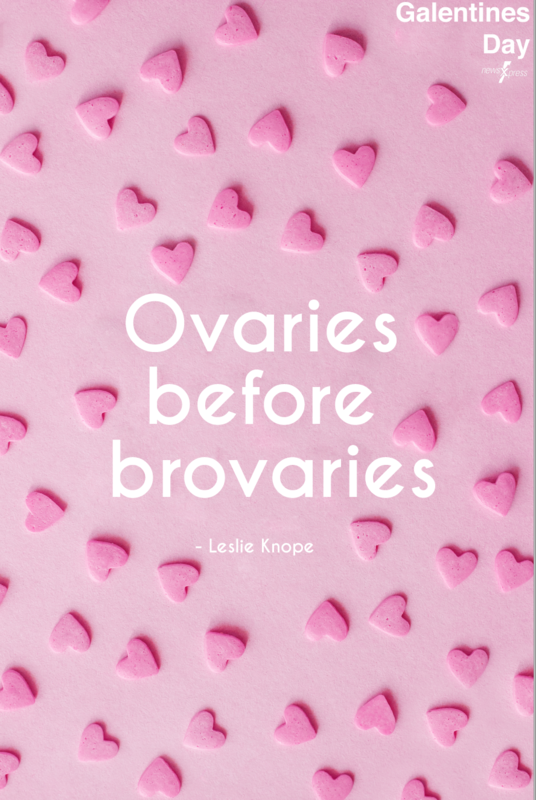 Not all women have ovaries. The fact that it’s a direct quote from a TV series doesn’t mean it is not transphobic… it means your commercial use of it without crediting the source is a copyright infringement. There appears to be some opacity here? Not in the post so much as the Barbs it has attracted. Whatever happended to face value for comment?